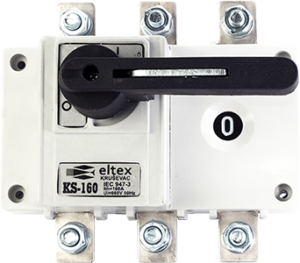 Compact Switches – ELTEX d.o.o. Compact switches – KS switches are made from 80 up to 630 Amperes as three-pole devices with double interrupting by pole and manual drive. Beside the classic performance the variation with prolonged drive is also possible.